Wright State University medical students are one day away from tearing open envelopes and learning their future as doctors. 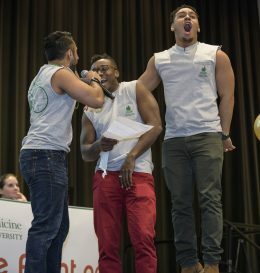 It’s part of a ritual known as Match Day, which thousands of medical student have participated in each year. It’s a ceremony where medical students across the country open an envelope and find out at once where they will spend the following years doing their residencies so they can launch their careers as doctors. The big reveal will be noon on Friday. Read the article from the Dayton Daily News.